Whether you’re brand-new to homebrewing or an experienced master of the malts, you’re going to deal with yeast in your quest for the perfect beer. You might start out with store-bought yeast, but after you’ve been homebrewing for a while, it could be you feel a calling to a higher purpose, or at least a thriftier one. That’s when you might decide it’s time to make your own yeast starter using fresh or recovered yeast. If that’s an adventure you’re ready to tackle, you’ll need a yeast starter stir plate in your homebrewing toolkit. Finding the right one can help you create a healthy, oxygen-rich starter. You’ll improve the quality of your yeast, and in turn, the quality of your beer. Plus, you can experiment with different strains of yeast to create starters for any kind of beer. It doesn’t matter if you’re using fresh yeast or a favorite strain you’ve recovered via yeast washing—your starter can’t succeed if it stagnates. To get the most out of your yeast starter, you’ll need to keep it movin movin’ and a groovin’ to oxygenate and build up the healthy yeast population inside. Adding a yeast starter stir plate to your collection of homebrewing equipment is the answer. The science behind the stir is simple. 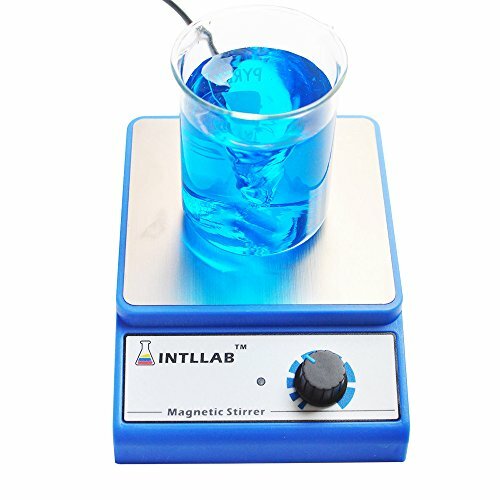 You place a ceramic-coated bar of magnetic metal, called a stir bar or stirrer, in a flask or other container of liquid. 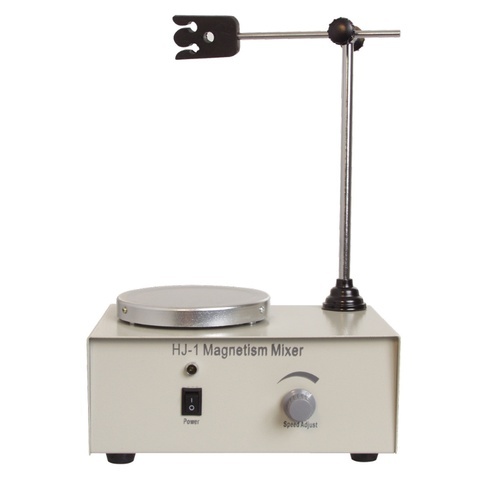 The stir bar spins in response to an electromagnet activated in the base of the stir plate, churning up the liquid without the need for you to babysit it. This continuous motion, as opposed to an hourly shake or two, improves aeration and pushes more CO2 out of the solution by keeping the yeast in suspension. The yeast have more oxygen to use as fuel, ramping up their reproduction. Continuous stirring can basically double the number of yeast cells in your yeast starter compared to manually and intermittently stimulating the yeast. If you’re a disciple in the Church of Bob Vila, you might want to take a stab at building your own yeast starter stir plate. But if you don’t have the time, or you’re ready to move up from a DIY solution, buying one will give you a plug ‘n’ play solution that’ll get you fermenting fast. 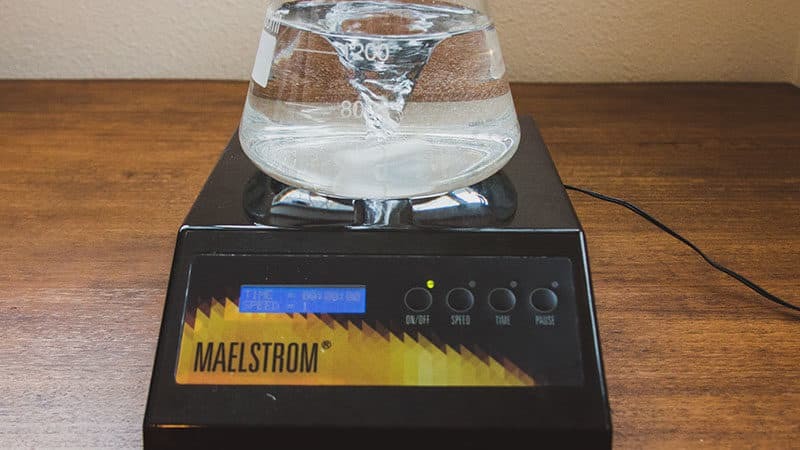 If you’ve never used a stir plate or are upgrading from a homemade version, these entry-level models will get things started without tanking your homebrewing budget. Simplicity is a strength with this yeast starter stir plate. Made of 316 stainless steel, it’s small, sturdy, and easy to take with you to the brew shed, garage, or secret underground laboratory. With a max speed of 3,000 rotations per minute If you click this link and make a purchase, we earn a commission at no additional cost to you. (RPM), it’s got enough oomph to stir up to .8 gal. (3 L) of liquid. It only comes with one stir bar, so you’ll probably want to buy a few extras If you click this link and make a purchase, we earn a commission at no additional cost to you. in case you drop one into the fermenter along with your starter—trust us, we’ve done it before. Another basic stir plate, this model has a footprint of just 5 in. If you click this link and make a purchase, we earn a commission at no additional cost to you. (12.7 cm) square. But it’s still got enough power to reach a top speed of 3,000 RPM, and stir up to .8 gal. (3 L) of liquid. The year warranty is good for some peace of mind, and the aluminum finish is scratch resistant and rust-proof. You’ll find just one stir bar in the box, so remember to order extras If you click this link and make a purchase, we earn a commission at no additional cost to you. just to be on the safe side. They say good things come in small packages, like a birthday envelope from grandma or a sock stuffed with diamonds. 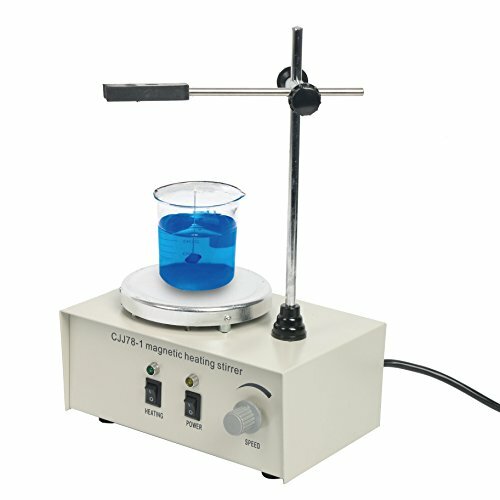 This stir plate has a more modest capacity than others, with a maximum volume of .26 gal. (1 L) and a maximum speed of 2400 RPM. But what it lacks in capacity, it makes up for in features, especially for an entry-level yeast starter stir plate. In addition to stirring it, you can also heat your starter If you click this link and make a purchase, we earn a commission at no additional cost to you. to a max temperature of around 212°F (100°C). It doesn’t have a built-in thermometer, but you can use a kitchen thermometer If you click this link and make a purchase, we earn a commission at no additional cost to you. 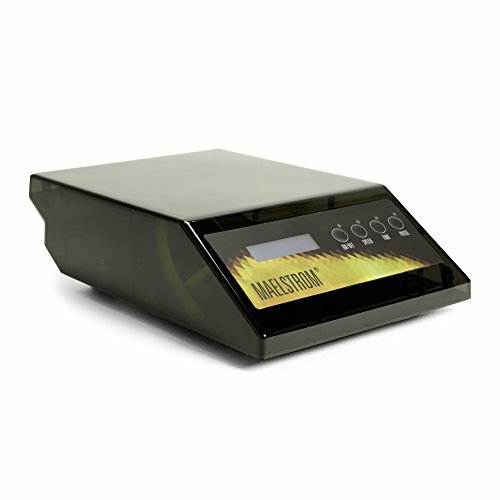 to monitor the temperature of your starter as it’s stirred, keeping it in the right range for your yeast. The built-in arm is handy for holding a thermometer in place, making the whole process hands free. Striking a balance between features and economy, these stir plates have a little more power and a few extras that make the slightly higher price worthwhile. 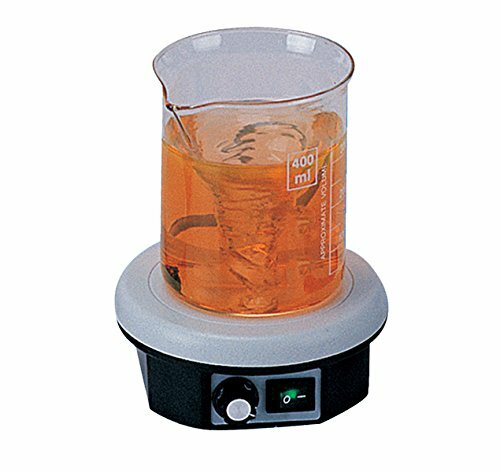 Boasting a built-in arm and a hefty stir capacity, this mid-level stir plate boosts your potential starter size without blowing the budget. With a max capacity of up to 1.3 gal. If you click this link and make a purchase, we earn a commission at no additional cost to you. (5 L), you can make some king-size starters with this bad boy. The sturdy construction makes for a nice, stable platform for your starter, and the one-year warranty is a nice hedge against potential disasters. It also has precision speed controls and, thanks to the larger capacity, you can experiment with a variety of stir bars If you click this link and make a purchase, we earn a commission at no additional cost to you. that’ll fit your flasks and beakers, big and small. So who needs frills? This no-nonsense stir plate from Hanna focuses on results. With a max stir speed of up to 1,000 RPM, you can create fresh and powerful starters in a variety of sizes. In addition to its easy-clean, spill-resistant exterior, the Hanna also has patented Speedsafe™ technology. Protected by a fuse If you click this link and make a purchase, we earn a commission at no additional cost to you. , the stir plate will never accelerate to the point where it damages the motor or sends your starter flying across the room like a yeasty Molotov. Small but mighty, this model will handle up to .53 gal. (2 L) of starter. It has a max speed of 2300 RPM, and has a two-year warranty to protect your investment. 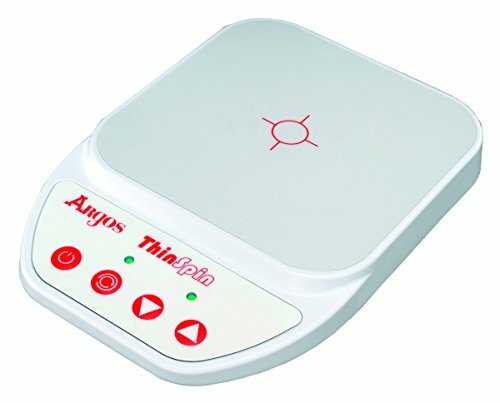 You can buy an optional arm if you’re looking to hold a thermometer or other gear while you stir. Light weight and rubber feet make this model nearly silent without sacrificing stability If you click this link and make a purchase, we earn a commission at no additional cost to you. . Best of all, two different stir bars are included to accommodate assorted starter sizes, or replace the one that fell in your fermenter. Hey, it happens to the best of us. Are you an aspiring yeast magnate? Do you have the need—and the budget—for powerful and versatile stir plates that’ll handle whatever you throw at ’em? Then these babies are for you. We try not to cave to peer pressure, but sometimes it’s okay to think thin. Slender and lightweight, this premium yeast starter stir plate is also waterproof. Plus, it’s programmable, with speeds up to 1500 RPM. The capacity is a bit smaller than less-advanced stir plates. The Thin Spin will only handle up to .13 gal. (.5 L) of starter. But its sleek build, small footprint, and handy LED indicator for tracking spin speed If you click this link and make a purchase, we earn a commission at no additional cost to you. make it a good choice if you’re looking to make smaller starters with limited space. Rumored to be as powerful as a whirling storm on the wine-dark sea, this flexible stir plate gives you plenty of options. With five speeds from 480 RPM to 1400 RPM, you can mix yeast starters up to 5 gal. (19 L) in size. 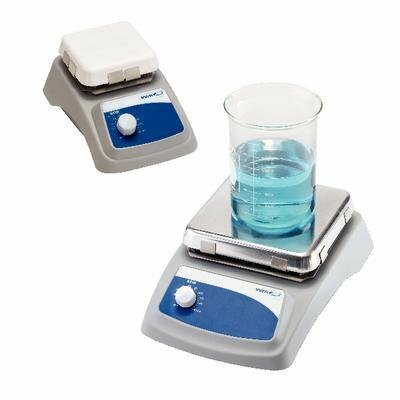 The large stir platform and powerful magnets mean you’ll never have to worry about throwing a stir bar. Plus, you can schedule your stirs up to 48 hours in advance If you click this link and make a purchase, we earn a commission at no additional cost to you. , so you can spend your weekends having fun instead of staring at a flask of yeast. Perhaps you’re a mad scientist who also loves beer. Maybe you’ve taken the Pokémon approach to yeast ranching, and gotta catch ’em all. Or maybe you just want to make multiple starters at once and aren’t sure what to do with all these stacks of cash you have lying around. VWR has you covered. With models that measure 9 29/32 in. W × 14 13/16 in. 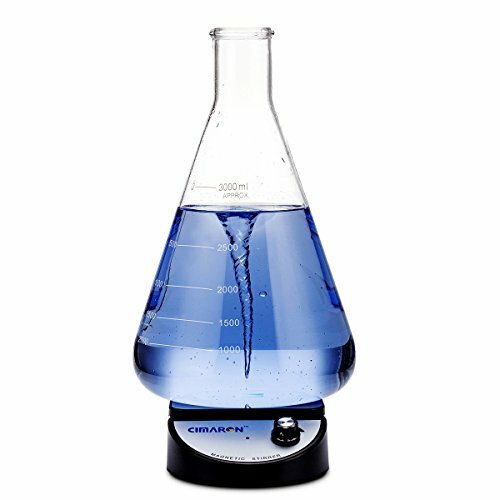 L (25.1 cm W × 37.6 cm L), and can stir up to nine flasks simultaneously If you click this link and make a purchase, we earn a commission at no additional cost to you. , these premium stir plates make it easy to whip up a bevy of beer starters in a flash. They have microprocessor-controlled speed adjusters, LED displays, and will stir up to .26 gal. (1 L) per slot at up to 1400 RPM. This is the start of a brew-tiful friendship. Your mastery of all things yeast begins with the right yeast starter stir plate. By adding one to your homebrewing setup, you’ll soon enjoy happier, healthier yeast that ferment more effectively and efficiently. Get stirring, and kick your next beer into high gear.